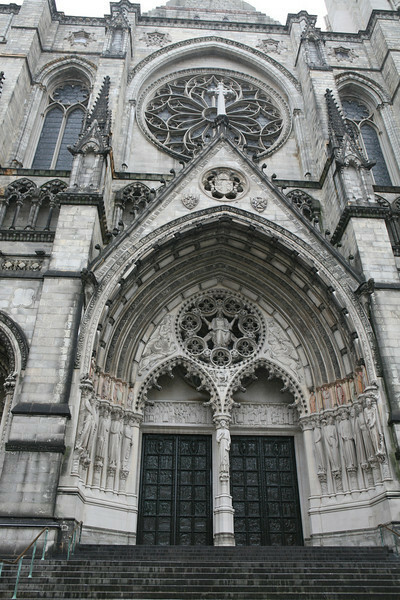 Cathedral of St. John the Divine. It was started in 1892 and is still under construction. The cathedral was heavily damaged by a fire in 2001 and was reopened in its full splendor in Nov 08. I was fortunate enough to hear the Brooklyn Philharmonic Orchestra practice for a New Year's Eve concert while I walked through the church. It was a wonderful experience.